We are a community of concerned people from all walks of life. We welcome everyone to contribute in whatever ways they feel is appropriate for their situation - artistically, administratively, financially, spiritually, etc. If you feel called to assist us in doing this work -- or if you have ideas of your own to share -- please contact us via e-mail: LoveTheEverglades@gmail.com, we would love to hear from you. We rely on those volunteer members of the Board of Directors (formerly referred to as the Coordination Circle) to help us make decisions, plan events, conduct ceremonies, engage in research, and build coalitions. Our organization is undergoing an evolution as we pursue the formalization of the 501(c)3 filing process. This is an on-going process. Once the process is finalized, we will make the announcement on this page. The following people have been integral to envisioning, conceptualizing, and implementing the work that we are engaged in under the aegis of the Love The Everglades Movement. We also rely on the following Consultants to give us advice on specific matters, including advanced research on Social Movements and Strategy; or Legal Affairs; etc. Thank you very much to those people who have previously served the Coordination Circle. A born artist, Jean has been drawing since his earliest memories allow him to recall. Working mainly in the arena of oil paint, Jean has expanded into other mediums such as acrylic, spray, digital illustration, Animation, 3D modeling, even crafts and techniques utilizing a combination of those mediums. Jean's work has turned to the realm of what he's calling "Activation Art" with an emphasis on sound and color therapy. These skills have brought him into the film production industry where he does everything from direct, produce, film, interview and assist. Jean's stories revolve around History, Culture and Environment here in South Florida. With several successful productions under his belt and more in the works, Jean continues gathering experience in this field. Jean also advocates on behalf of the Water. His passion for the Environment has led to the birth of Love the Everglades Movement -- an Environmental non-profit that advocates for the Florida Everglades. His connections with the Miccosukee Tribe have led him to be fully immersed in the current issues concerning the water quality of the Glades -- where he regularly hosts exclusive VIP tours and educates on the subject, strongly emphasizing the direct link between Nutrition and the Environment. His interest in Medicinal Plants have led him to become a student of Permaculture, where Jean is aiming to incorporate his skills and the elements to steer his work into public, sustainable, functional eco-art friendly pieces. Jean Sarmiento currently resides in Miami, Florida. 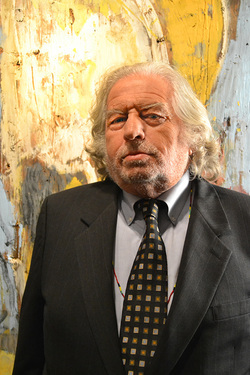 Art, communications, and spirituality are some of the modalities and techniques that he employs through his collaborations with the following organizations (links): Miccosukee Magazine TV; Film, Recording & Entertainment Council; FREC Star Gala; Medicine Signs Spiritual Center; Camposition, Inc.; and the Love The Everglades Movement. Houston is committed to supporting his society of clans by assisting in cultural preservation, environmental protection, community outreach, business development, media & event production, and strengthening sovereignty. 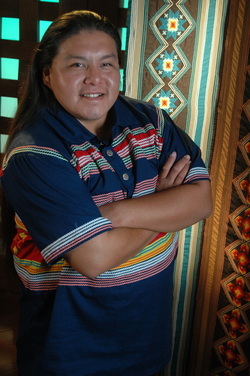 Houston R. Cypress is a Two-Spirit Poet, Artist, and Activist from the Otter Clan of the Miccosukee Tribe of Indians of Florida. He resides on the Miccosukee Reservation located west of Miami, Florida; and he maintains a number of traditional villages located on tree islands scattered throughout Water Conservation Area 3A -- the area known as the historic River of Grass, and called by his community: KAAHAYATLE, which can be translated as "Shimmering Waters." Frank Allegro has 20+ years of private sector business administration, marketing and international sales experience as Co-Founder and member of the Board of Directors of NuBoard Media, Inc. His skills include expertise in business plan writing, strategic planning, organization management, financial book-keeping, sponsorship development and event marketing at stadium sporting events nationwide. In addition to his corporate management skills, Frank has vast international experience and cross-cultural skills from having lived in 11 countries in the family of a US Foreign Service diplomat. 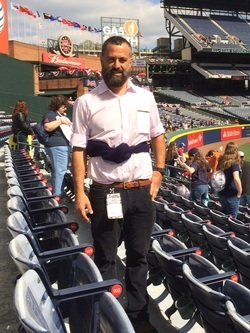 Based as an expat in Europe and South America, Frank is fluent in Spanish and Italian with a reasonable command of French, Portuguese and Swedish languages. Frank contributes to the mission of Love the Everglades Movement (LTEM) in terms of organizational planning and execution, legal contract review, public relations, media contacts, event marketing, database management, fund raising, social media initiatives, financial planning and overall management. Over the past several years, Frank has become an activist in South Florida sharing his skills with the non-for-profit world to help bring about positive changes in the local community and beyond. Frank, a believer in the interfaith movement, and father of 2 children, is also an independent singer/songwriter, having recently released his 2nd rock album on iTunes named Sacred Land: a musical tribute to the First Nations people around the world. Flash is a community organizer, art director, event manager, street promoter, poet and networking conduit. As an activist for progressive causes for over 25 years, Flash has demonstrated some unique talents to balance the dynamics of production, movement philosophy, team management and social outreach. Utilizing Art Activism as a platform for connecting social issues with artistic reflection, Flash produces events that instills solidarity with others through art, music, performance, education and creative interaction. The essence of Art Activism allows individuals to express themselves in a conscious format that transcends traditional boundaries to relate with others. This decentralization of expression shifts the power from the podium and reaches the vitality of the populace. 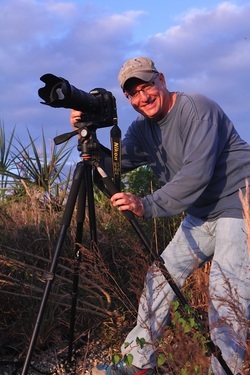 In 1989, Flash began working with organizations like Earth Alert, Tropical Audubon Society, Florida PIRG and others while a student at the University of Miami - where he earned a degree in Creative Writing in 1993. In 1997, Flash began developing Ploppy Palace Productions as an outlet for artistic endeavors and as a support system for the Annual Medical Marijuana Benefit Concert Series (celebrating 17 years in 2015) and later the Everglades Awareness Benefit Concert Series (celebrating 7 years in 2015). Over the years these festivals have grown into layered multi-stage, multi-media productions featuring a diverse mixture of performers, artists and speakers that continues to generate large audiences, solid media attention and an expansive network of supporters. From 1997 through 2010, Flash was the Funk Finder for independent art venues Funktional Funk (‘97-‘99) and The Wallflower Gallery (‘99-‘10). During this time, Flash organized a wide variety of gallery art exhibitions, spoken word presentations, independent film screenings, musical showcases, theatrical performances and community forums. Since 2005, Flash has worked with Emerge Miami as a volunteer and ride guide for the monthly Emerge Miami Critical Mass Bike Rides (since 2006). Flash has also worked with the NORML of Florida, the Miami-Dade Green Party, the Sierra Club, Save Dade, Democracy for America and numerous other organizations for many years. Starting in 2010, Flash began working with the Moksha Family Arts Collective and 7th Circuit Productions as a production support person as well as manager for the Moksha Gallery and Moksha Boutique. In addition, Flash is a promoter and part of the stage and support crew with Tobacco Road (since 2000), Rockers Movement (since 2010) and other independent productions. In 2013, Flash teamed up with CMI Music and LegalizePot.us to produce Legalize It! Vol.1:It’s Natural, an 18 song compilation supporting marijuana law reform in Florida and beyond. As an avid bike rider, Flash travels all over Miami-Dade County and beyond on his bicycle - his primary form of transportation. Native to Miami, Florida, Geovanny Perez has always wondered why human suffering and conflict exists and persists. He adamantly believes it’s absurd that for the most part, we can get along as individuals, but nonetheless there is warfare, slavery, famine, poverty, and perilous environmental problems among many social problems, which is why he trained as a sociologist at the University of Florida. While working on his Master’s degree with a focus on Environmental Justice and Social Movements, Geovanny was attracted to the politics of the Everglades restoration because of the struggles the Miccosukee Tribe of Indians of Florida were enduring. Here was a contemporary Tribe facing the same old story in different a manner: severe injustice due to greed and ignorance of the wider United States society. Geovanny’s motivation stems from the knowledge that the problems that plague us, even large-scale ones that we’re unaware of on a daily basis, are products of social phenomenon that can change with proper knowledge, coordination, and will. 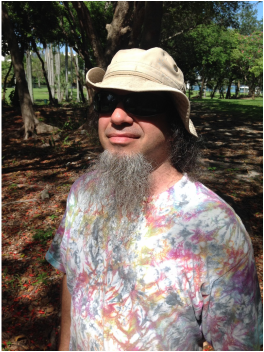 As a member of the coordination circle of Love the Everglades movement, he applies his knowledge and skills to reform the south Floridian community so that it can harmoniously coexist with the beautiful Everglades and all of its inhabitants. My name is Dennika Mays and I am Anishinaabe from Minnesota. I'm currently a student at FIU and am pursuing a combined Masters and PhD degree in African and African Diaspora Studies and Global and Sociocultural Studies. My interests are in humanitarian activism, Indigenous sovereignty, black social movements, grassroots movements, and environmental justice. As a woman with complex identity, I am primarily interested in intersections, hybridity, and overlaps particularly between things that are often constructed as different and/or unrelated to each other. For example, I am interested in race relations and environmental justice, but I particularly explore the dynamics of environmental racism; which combines environmental study with race studies. I am currently studying the Idle No More movement (based in Canada) and intend to explore the complex intersections and hybrid issues that arise around that movement. Jared Jacobs grew up in the diverse wetlands of the Midwest where the diversity of life around him painted a clear picture into his future. After beginning his education within the environmental sciences, it did not take him long to find a handheld home video camera to help him shedding light and share the expansive diversity of Ohio wetlands to his classmates. His passion for water only grew in College where he become extremely involved with his colleagues and instructors researching, filming, increasing political and physical advocacy for the watersheds of Lake Erie. Receiving professional training from WBGU-PBS made landing his first independent video journalism project with the Great Lakes Water Keepers Alliance possible. He was well on his way to becoming a career advocate. As an Eagle Scout, he landed a unique position with the National Boy-Scouts of America post graduation, transplanting him to a desolate island of the Florida Keys just south of the worlds most expansive wetland restoration project. Miles from running water he taught island survival, ecology and history to the youth of America. When the scouting season ended he found a job with the Florida Keys Dolphin Research Center just a few islands north. While pointing his lens out at the seas of South Florida, Carnival Cruise Lines caught wind of his work and brought him to his first big city. Jared was then able to work with a skilled team of social media contractors while increasing workflow management, building invaluable skills in videography, and traveling the world. Working with Carnival could not distract him from his roots so he reached out and reconnected with the local Audubon Chapter, contributing to their success as one of South Florida’s most influential voices in conservation. Through the Tropical Audubon Society Jared was introduced to Miccosukee Magazine Television, a team of skilled and motivated creatives whom support the environment, culture, customs and arts of South Florida. It was here where Jared was able to begin understanding the worlds most unique wetland habitat and realize how dependent her future is on actions taken far from her actual waters. He then began to explore a part of the world he knew very little of. Jared is now working in the heart of Miami building his skills as a storyteller and organizer within the Paradise Key Community helping solve climate issues alongside the cities most progressive team of creatives, BeeFree Media. As a team Jared is part of Miami's ascent into a more connected and sustainable South Florida Community. Lloyd Goradesky uses the Power of Art to bring awareness to our natural surroundings. “The best way to educate the public is when they are viewing art and when they least expect a learning lesson.” Goradesky’s art extends from multi-media designs to complex photographic creations. His artistic goal is to get the viewer to ‘look through’ the actual art piece and to interpret the meaningful message to save our environment. His personal goal is to create the world’s largest assembled photograph. It is this exploration in how to create archival art that has lead to developing SCALGio™. After years of inventing and experimenting with various printing media, Goradesky created SCALGio™, an eco-friendly printing technique to apply images on unique media to create archival museum quality art. His proprietary printing techniques bring extreme vibrant colors to his art. Goradesky combines technical skills with unusual printing techniques that are unique to the art world. “When most photographers consider their photographic effort to end with the click of their camera, my creative process is just beginning. It is how the photograph is developed and then used that begins the artistic process for me. I began this exploration process by running large banana leafs and various cloth material through a printer.” Goradesky focuses on printing on anything but paper. Goradesky’s art uses unique materials that would normally not be found in any print lab or artist’s studio. Goradesky’s last exhibit and exploration into art was a study of abstract design in nature. His exhibit ‘Rainbow Clouds’ are photographic images that allow for the rotation of the image. There is always a high level of intelligence in his art. ‘Rainbow Clouds’ is a photographic example of the refraction and diffraction of sunlight. In general, images are not meant to be rotated and still have interpretive meaning. The collection of images in ‘Rainbow Clouds’ are beautiful vibrant colors similar to that of an oil spill but when rotated become landscapes and oceanscapes. The latest artistic invention, Floating Tile Art™, is an example of a new medium in art developed by Goradesky. Using the SCALGio™ process to print on highly buoyant boards, Goradesky has created a unique way to display art on water. Goradesky’s current project is the world’s largest alligator, Floating Tile Art: ’Gator in the Bay’™, is being compared to Christo’s ‘Surrounded Islands,’ the wrapping of Miami Beach islands with pink material that simulate the blooming of flowers. The Floating Tile Art: ’Gator in the Bay’™, a 275-foot 33,000 pound alligator with a skeletal steel head the size of a three-story building mounted on a barge and body made of 104 individual 4-ft by 8-ft tiles assembled together creating a photo mosaic that floats in Biscayne Bay and brings awareness to the Florida Everglades. 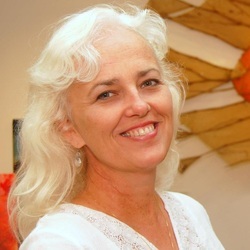 Robin Haines Merrill is an Artist-Missionary with 30 years of experience in the areas of faith-based and environmental stewardship, outreach and economic development. She serves as the Founder and Executive Director of the Christian Cultural Development Foundation (CCDF), a non-profit organization providing creative alternatives to people in prostitution, street children, HIV-AIDS patients, and human trafficking victims from around the world. CCDF has two non-profit businesses for its economic development projects: Mission Gifts, a Fair Trade retail store, and the Upper Room Art Gallery. Under her direction the gallery and gift shop have received several honors and awards including the Miami Knight Arts Challenge 2013, Gold Coast Magazine "Best of South Florida 2012", the 2010 EDITORS CHOICE Award from South Florida Parenting Magazine, "Most Unique Gallery" from Kids Crown Awards, and "Best Art Gallery in Downtown Fort Lauderdale 2008" from GORiverwalk Magazine of the Riverwalk Trust. Robin is originally from Detroit, Michigan and now lives in South Florida with her husband, artist Mark Merrill and two sons. She spent 15 years living in the Philippines as a missionary with an interdenominational, Evangelical outreach ministry among the urban poor. Together with FACE, a cultural exchange group from California, she frequently visited China and helped produce a feature film with the Chinese government, and lectured on Art and Urban Poverty issues at universities throughout mainland China and Inner Mongolia. While maintaining a strong Christian approach to life, Robin is adept at working with respect amongst people of differing points of view. In Fort Lauderdale, Florida, Robin helped launch ArtWalk Las Olas, and is now organizing an urban renewal project, "Las Olas Village." Robin is a member of the Congress on New Urbanism, the Broward Human Trafficking Coalition, the International Christian Alliance on Prostitution, and the Love the Everglades Movement. Founder and Director of Lemus Natural Medicine in Miami, State of Florida Licensed Acupuncturist, Doctor of Oriental Medicine, graduated as Acupuncture Physician. Dr. Lemus has studied many natural medicine modalities and got interested particularly in the methods of natural herbal healing used by the Miccosukee and Seminole tribes. The studies of the healing plants of the Everglades got him interested in the environment and water conservation, and he has since become an environmental activist for the conservation of the Everglades and a sympathizer for the cause of the Miccosukee Tribe of Indians of Florida. Dr. Lemus has two radio talk shows in the most popular Spanish radio stations in Miami Dade every Saturday -- Actualidad Radio and Radio Caracol. He has appeared in many Spanish TV shows taking about natural health and the conservation of the Everglades. 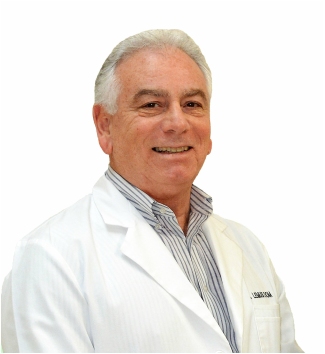 Dr. Lemus hobbies consist of music (amateur Spanish guitar player), popular Latin dance, boat skipper and fishing. Author of the song “Soy los Everglades;” and now he is writing a book called “How God Created the Everglades” where old Miccosukee concepts of the creation is mixed with scientific facts, while adding the imagination of the author. Former experience as a writer and correspondent of Replica Newspaper and Magazine. Former Special Police Officer, City of Miami, Special Deputy Constable Dade County and State of Florida licensed Private Investigator, International Director of Polices, Strategies and Development for Spiritual Culture Association based in Miami. ​With all this vast experience Dr. Lemus joined Love the Everglades Movement to collaborate with the Coordination Circle in organizational planning, general strategies, and policies to help spread the message throughout the Spanish community.